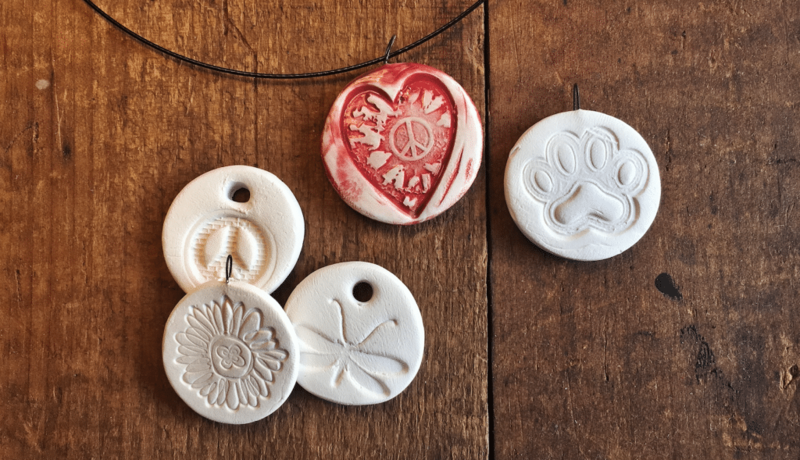 Join us on Thursday, February 21st from 6pm-7pm for a Clay Diffuser Pendant class! Learn how to cut shapes, stamps designs, and finish your pendant with wire and paint the very same day! Pay a deposit, then just pay per pendant the day of the event (minimum of four pendants at just $5 each!) Make plenty of pendants to match every outfit, or to give to friends and family! It is SO easy to create the perfect clay pendant that you will have a hard time making just a few! Once you pick up your creations, they will be ready to use with your favorite essential oils!